Men’s quiffed hairstyles never go out of fashion. From the resurgence of the pompadour to vintage D.A.s and flat-tops and every variation in between, there’s never been a better time to work on your quiff haircut skills. 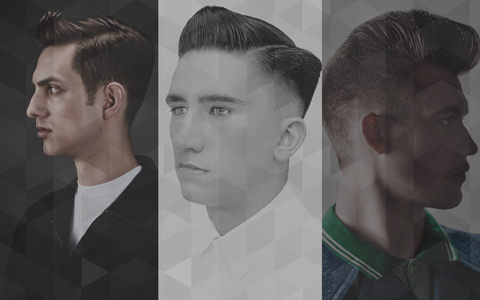 In this intermediate online barbering course we bring you five men’s hairstyles from two of the most respected barbers and men’s hairdressing experts in the UK - City Boy’s Dale Ted Watkins and Sarah Astley. On completion you can download, print and share a CPD Certificate of Recognition endorsed by VTCT and ITEC. Dale Ted Watkins' tutorial is a men's haircut with a pure blend of scissor-over-comb and clipper-over-comb techniques worked technically through the interior in the top to produce a modern update of the pschobilly or pompadour hairstyle. Dale uses over-direction and horizontal sections to gain an acute angle towards the fringe. Dale demonstrates how to add a bespoke tailoring to finish and to give each client a unique personal style. The result is a true 1950's classic hairstyle that never goes out of fashion. Sarah Astley's men's haircut tutorial is a classic tailored haircut, reminiscent of the iconic matinee idol. Sarah starts by establishing a parting on the left hand side, then works around the head to produce a slick and sharp haircut with special emphasis on the corners and over-direction in the top and towards the fringe to produce a sleek quiff. 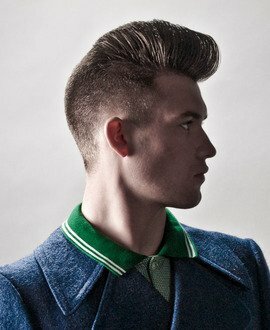 The sides and back are blended with scissors over comb to produce a sleek men’s cut that oozes style and sophistication. The flat top has been in and out of fashion since the 1950s. From conservative middle America to the US military and NASA through to the UK’s post punk psychobilly movement, the flat top haircut has undergone a range of variations. Developed as a longer version of the crew cut or buzz cut, the flat top maintains a square shape with defined corners and an equal length through the top, often with a fade at the sides and back. Dale Ted Watkins' men's haircut is a long technical flat top through the fingers, which is then refined with a clipper-over-comb technique. 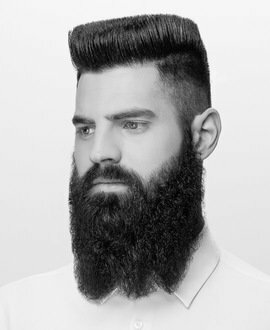 The final result is a beautifully carved flat top with an elegant progression to length and a slight schism between the clean top and elongated beard for a modern interpretation. Dale Ted Watkins demonstrates a men’s haircut with a high and tight graduated shape with disconnection, using scissors-over-comb and clipper-over-comb techniques. The haircut maintains a sharp square shape in the corners with a flatter shape in the crown. 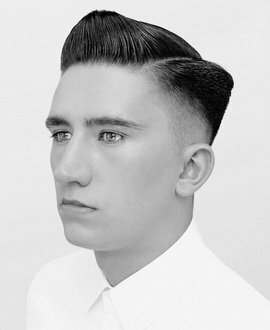 The final result is a classic male shape incorporating the rudiments of male grooming and methodical technique, relying heavily on traditional barbering techniques. The final shape is a modern throwback to the golden age of men’s grooming and allows clients a number of styling options. Dale Ted Watkins’ final men’s haircut is the second of his two flat tops in this barbering course. This video shows a shorter flat top executed with clipper-over-comb techniques. 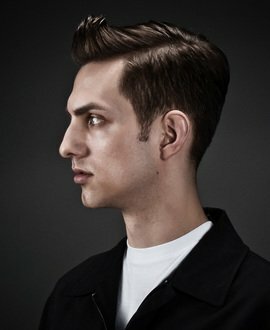 Dale provides his expert advice on a fundamental of men’s hairdressing - cutting a masculine square shape on a round head using corner placement, together with guidance on blending and including a fade. 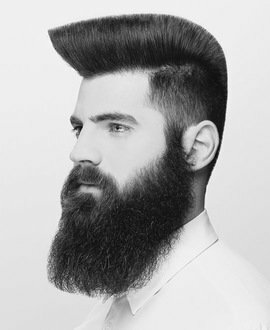 The final result is a tough and severe flat top evoking a formal military style, with an edgy discord between the haircut and beard.